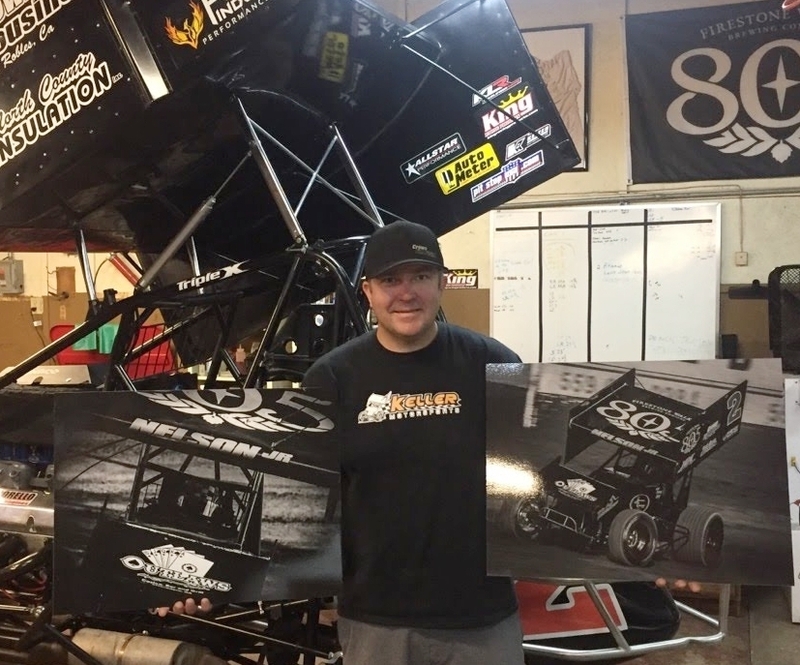 Ramsey Racing Images does not just provide drivers, teams, & owners with digital images and 8x10 photographs. 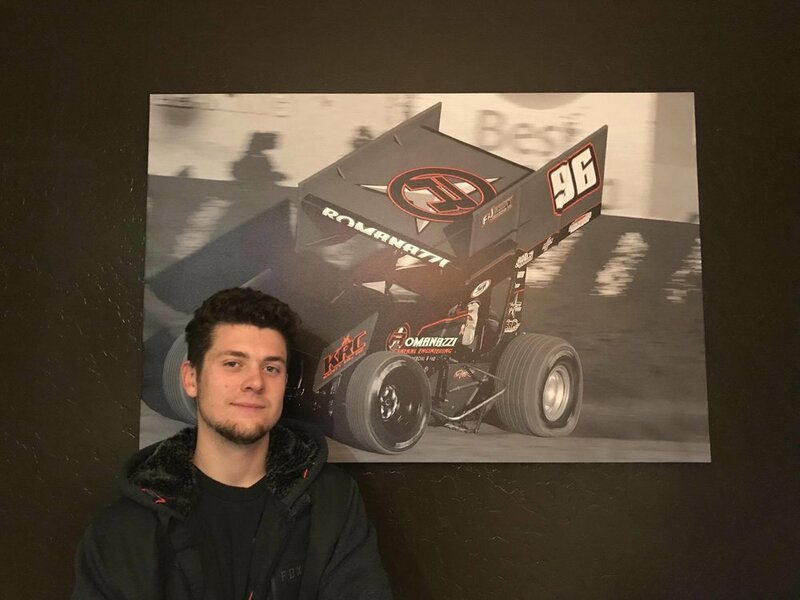 We also work with the fans and the entire racing community to provide them with wall art that can be displayed in your home, garage, shop, or anywhere else you see fit! We regularly offer digital downloads, photographs, enlarged prints, posters, aluminum prints, and canvas wrapped prints. We can also do photo products such as mugs, blankets, tote bags, and more! See the left column for more information on what we offer and our pricing! If you have any idea that is not shown here, please reach out to me and I will see if it is something we can work out for you. Product is purchased through the "Gallery & Purchasing" tab on this website. discuss the specific sizing information you require as you cannot purchase this directly through the site. Discounts are available if more than one purchased. Inquire for more details. 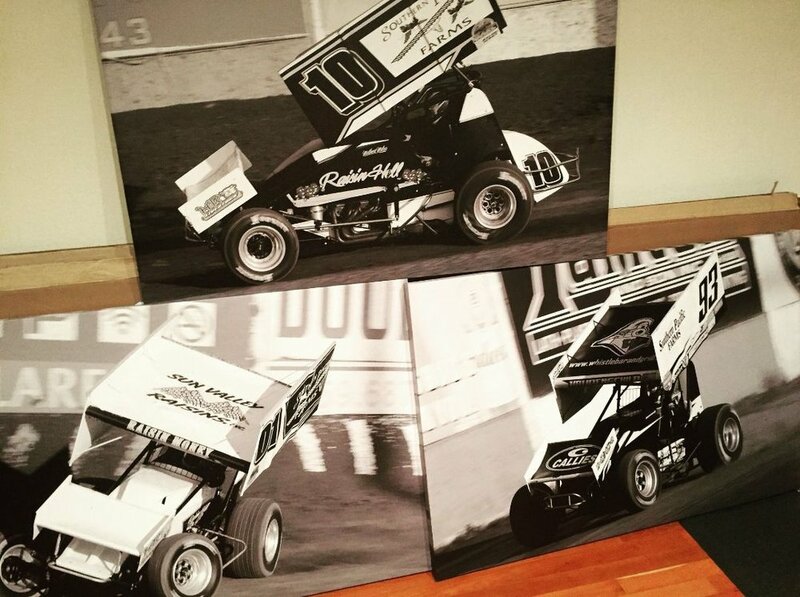 Stretched canvas wraps are digitally printed at high resolution on semi­-gloss canvas material. Each canvas is carefully hand wrapped onto solid wood stretcher frame. Quickly transform your favorite picture into a piece of artwork. Aluminum signs are vibrant and durable consisting of .040 aluminum with a vinyl overlay. If your wall graphic deserves a clean modern aesthetic look no further than ¼” Acrylic Prints. Vivid clear gloss vinyl prints are face mounted on Acrylic and then backed with white vinyl to make the colors pop. 1 inch Standoff hardware is included that brings the artwork into the 3rd dimension by creating separation from the wall. “Thank You” Logo For Sponsor or Crew Gifts! $8.00 additional charge per item. Customizable with any two colors to match your car’s scheme! A 16" x 24" canvas wrapped print gifted to Dale Miller.